This article is about Alī ibn Abī Ṭālib. For other people named Ali, see Ali (name). For other uses, see Ali (disambiguation). Ali was born inside the sacred sanctuary of the Kaaba in Mecca, the holiest place in Islam, to Abu Talib and Fatimah bint Asad. 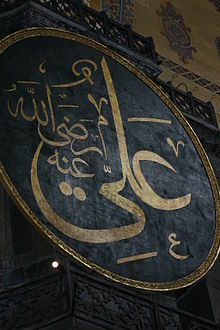 Ali was the first male who accepted Islam, and, according to some authors, the first Muslim. Ali protected Muhammad from an early age and took part in almost all the battles fought by the nascent Muslim community. After migrating to Medina, he married Muhammad's daughter Fatimah. 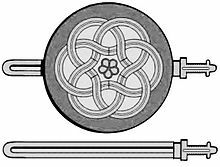 He was appointed caliph by Muhammad's companions in 656, after Caliph Uthman ibn Affan was assassinated. Ali's reign saw civil wars and in 661, he was attacked and assassinated by a Kharijite while praying in the Great Mosque of Kufa, being martyred two days later. Shias regard these statements as constituting the designation of Ali as the successor of Muhammad and as the first Imam; by contrast, Sunnis take them only as an expression of close spiritual relationship between Muhammad and Ali, and of his wish that Ali, as his cousin and son-in-law, inherit his family responsibilities upon his death, but not necessarily a designation of political authority. 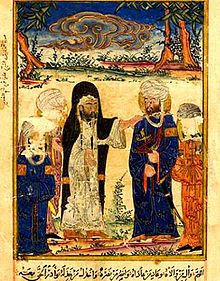 Many Sufis also interpret the episode as the transfer of Muhammad's spiritual power and authority to Ali, whom they regard as the wali par excellence. There are many verses interpreted by Shi'a scholars as referring to Ali or other Shi'a Imams. Responding to this question that why the names of the Imams are not mentioned in Quran expressly Muhammad al-Baqir answers (in a Twelver hadith):[a] "Allah revealed Salat to his Prophet but never said of three or four Rakats, revealed Zakat but did not mention to its details, revealed Hajj but did not count its Tawaf and the Prophet interpreted their details. Allah revealed this verse and Prophet said this verse is about Ali, Hasan, Husayn and the other twelve Imams." According to Ali, one quarter of Qur'anic verses are stating the station of Imams. [clarification needed] Momen has listed many of these verses in his An Introduction to Shi'i Islam. However, there are few verses that some Sunni commentators interpret as referring to Ali, among which are The verse of Wilayah (Quran, 5:55) that Sunni and Shiite scholars[b] believe refers to the incident where Ali gave his ring to a beggar who asked for alms while performing ritual prayers in the mosque. The verse of Mawadda (Quran, 42:23) is another verse which Shiite scholars, along with Sunni ones like Al-Baydawi and Al-Zamakhshari and Fakhr ad-Din ar-Razi, believe that the phrase Kinship refers to Ali, Fatimah and their sons, Hasan and Husayn. The Shia regard Ali as the most important figure after Muhammad and he represents a complex, legendary figure in their memory. He is a paragon of virtues, such as courage, magnanimity, sincerity, straightforwardness, eloquence and profound knowledge. Ali was righteous but suffered injustice, he was authoritative but also compassionate and humble, vigorous but also patient, learned but also man of labor. According to Shia, Muhammad suggested on various occasions during his lifetime that Ali should be the leader of Muslims after his death. 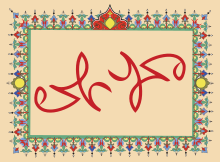 This is supported by numerous hadiths which have been narrated by Shias, including Hadith of the pond of Khumm, Hadith of the two weighty things, Hadith of the pen and paper, Hadith of the Cloak, Hadith of position, Hadith of the invitation of the close families, and Hadith of the Twelve Successors (for Twelver Shi'ites).